Through an agreement announced Monday, Lundin Mining is set to purchase the Chapada copper-gold mine in Brazil from Yamana Gold. 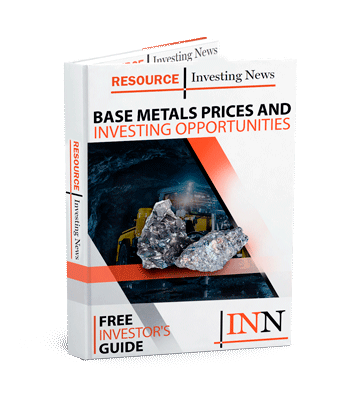 Through an agreement announced Monday (April 15), Lundin Mining (TSX:LUN,OTC Pink:LUNMF) is set to purchase the Chapada copper-gold mine in Brazil from Yamana Gold (TSX:YRI,NYSE:AUY). The deal will see Lundin buy Yamana’s 100 percent stake in Mineração Maracá Indústria e Comércio, the company that owns Chapada, for US$800 million in cash. Yamana will retain a 2 percent net smelter return royalty on future gold production from Chapada’s Suruca gold deposit, and is also set to receive up to US$225 million in contingent considerations. “The acquisition of Chapada complements Lundin Mining’s existing portfolio of high-quality mines and highlights our focus on disciplined capital allocation to create long-term shareholder value. Chapada is a well-run, established operation with an experienced local workforce,” Lundin President and CEO Marie Inkster said in a statement. In acquiring Chapada, Lundin has boosted its annual copper production by over 25 percent while also adding approximately 100,000 ounces of gold production. Located in Brazil’s Goiás State, the asset’s 2019 production is docketed at 54,500 tonnes of copper in addition to the gold. 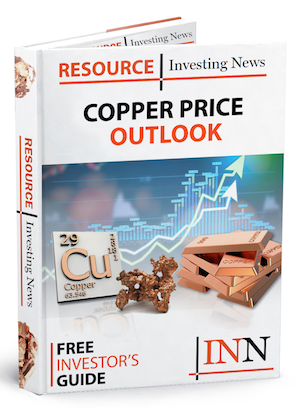 According to Lundin, the project has processed 225 million tonnes of ore grading 0.38 percent copper and 0.33 grams per tonne gold since production began in 2007. It produced 743,500 tonnes of copper and 1.6 million ounces of gold in concentrate in that time. Operating costs at the asset are estimated at US$1.60 to US$1.80 per pound of copper and US$430 per ounce of gold equivalent, based on Yamana’s 2019 guidance. Expansion opportunities at Chapada are being explored to further optimize the project. An expansion of the processing plant’s scavenger flotation circuit is now in the works; the addition is anticipated to increase copper and gold recoveries by 1.5 to 2 percent, with commissioning planned for Q2 2019. A plant expansion is also being considered at this time. It would see Chapada’s processing rate grow to a range of 28 to 32 million tonnes per year, and certain plant infrastructure be relocated to further develop the Sucupira deposit. The deal is expected to be completed during 2019’s third quarter and is subject to standard closing conditions; shareholder approval is not required for the acquisition. As of 11:20 a.m. EDT on Monday, Lundin’s share price was up 6.88 percent on the TSX, reaching C$7.30. Meanwhile, Yamana was down 4.09 percent to C$3.28. As of April 12, copper was trading at US$6,488 per tonne on the London Metal Exchange. Gold closed the day at US$1,289.80 per ounce.